This is an interesting experiment by Mitsubishi, similiar to Michelin’s Active Wheel technology. 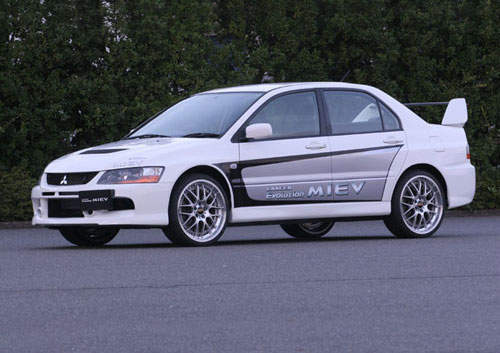 The Lancer Evolution MIEV is derived from the Lancer Evolution IX. 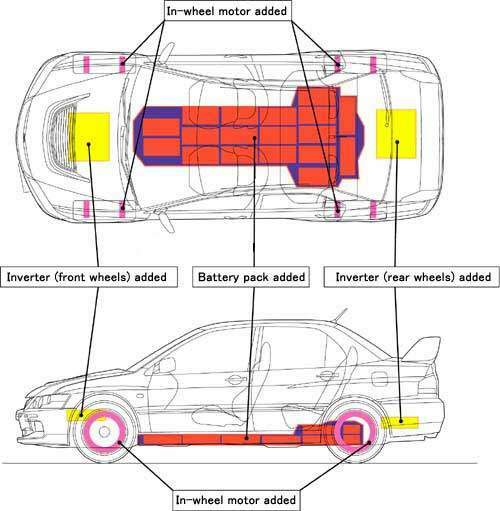 What makes it different from conventional power and drivetrains is there are 4 separate motors packed into each wheel of the car. 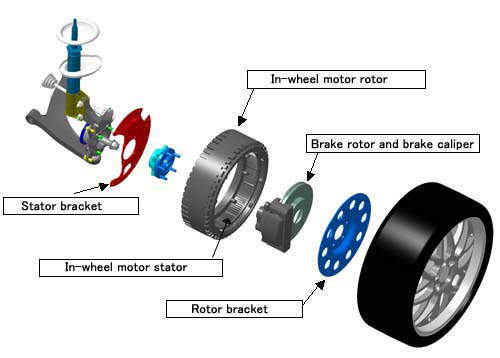 Each motor drives 1 wheel. The motors are powered by lithium-ion batteries fitted under the floor of the car where the 4WD propeller shafts and other components were once located. Nice. This car is experimental in every way… powertrain, drivetrain, power source. Vehicle type certification has been obtained for this car so it’s legal for on-the-road use. Maker – Toyo Denki Seizo K.K. Notice the huge tyre size to accomodate the motors in each wheels! Will a production version of this ever be as hot as the Toyota Prius? I think this would be good on the track too… low center of gravity, 4WD, balanced front-rear weight distribution. 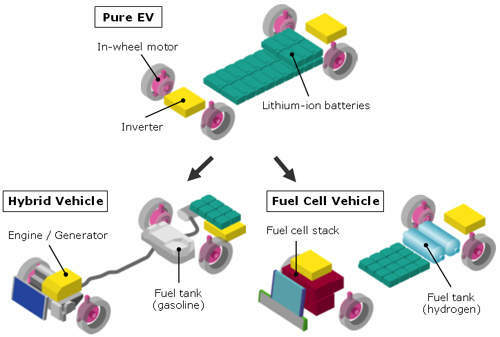 The MIEV system can be deployed in a few ways, either powered by pure EV or in a hybrid car. It can also be powered by fuel cells.